Hire Painter For Kitchen Cabinets - Pristine Decors Inc. If it’s been years and you’ve not painted your kitchen cabinets for years, then certainly there’ll be scratches, stains, and peeling, etc. These are the symptom that now is the time to paint your kitchen cabinets. There’s no harm in taking the job of painting the kitchen cabinets by yourself, yet if you hire painter for kitchen cabinets, it’ll save you a lot of time, efforts, and frustration. Before you start painting the cabinets of the kitchen yourself, always keep in mind that you may regret later. Why should you hire painter for kitchen cabinets? Painting the kitchen cabinets is not a one day job that you can complete yourself. It may look like slapping a few coats of the paint, but reality is completely different. It requires a lot of preparation if you want nothing but proficiency and perfection. And the preparation includes removing all the drawers, doors, and cabinets in the kitchen. Expert artisans recommend that it needs four to seven days to prepare and clean the kitchen cabinets thoroughly and then you also need time to dry the coating of the cabinets. Only removing the cabinets of the kitchen will not do the job, it also requires the task of scrubbing, sanding, and applying primer on the kitchen cabinets. The adhesions got strong if all the steps are performed carefully in the process of painting. Organizing every part of the work is a must in the process. For example, if you’ve painted all the drawers, doors and cabinets and now it’s time to put everything back into its place, and you’re missing the screws to fix the doors and cabinets, then it’s a waste of your time and efforts. Moreover, if you’re not able to set the cabinets and doors correctly, then there’s no gain for your endeavors. It’s critical to use masking tape and marker to number the doors, drawers, and cabinets so then can be fitted at their proper place later. Note carefully that the spray painting option doesn’t work in the case of kitchen cabinets, and drawers. Even after cautiously painting the cabinets of the kitchen, the job is not complete. Now, the cabinets need to go through the arduous process of sanding and stripping the wood. Then, it requires refinishing till everything is perfect. You must ensure that the whole project is going to look fabulous after the completion. A professional kitchen cabinet painter may provide better suggestions whether the method you’re going to apply will have astonishing effect in the end or not. Professional artists also have the finished product’s pics which they can show if you ask them. Pristine Decors Inc. is extremely professional painting company that provides excellent service for painting the cabinets of the kitchen. 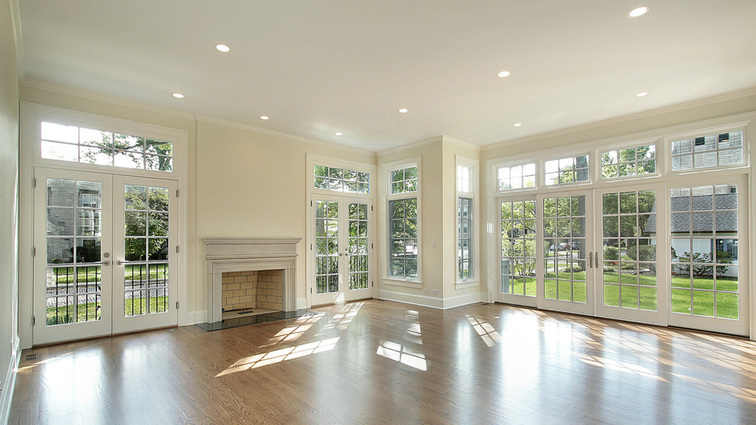 The painters available at this company are experts and do their project very professionally. You won’t regret anything if you hire experienced professional artisans available in this business. If you’ve any doubts, you can ask references of the past work by the company, and they’ll be more than happy to either meet or make you talk with their previous clients. View how much do interior painters charge per hour.